This post is the second in an occasional series of writer profiles, looking especially at those working in African languages. The first post in our series was on Akinwumi Isola. If you ask Amharic speakers about their literary preferences, the response is almost always unanimous. The best Amharic novelist is Haddis Alemayehu and the best poet Tsegaye Gebre-Medhin. Tsegaye also wrote for theatre, and his tragedies are thought to be the finest in Amharic literature – but when it comes to comedies Mengistu Lemma always tops the list of favourite playwrights. His two most famous plays are T’älfo Bäkise (“Marriage by Abduction”, 1968-69) and Yalačča Gabïčča (“Marriage of Unequals”, 1964-65). They are humorous in tone and the action is dotted with plot twists and comic instances. Yet the two comedies are conceived as something very far from mere entertainment. Mengistu maintained that he was “a realist, not dealing with fantasy but in social criticism”. He used the comedies as a didactic vehicle for his political ideas – “Marriage by abduction” is a reflection over the age-old custom of abducting a woman in order to marry her; “Marriage of Unequals” challenges Ethiopian class-conscious society and promotes inter-class marriage. Mengistu was indeed a prominent exponent of a well-established progressive movement in Ethiopian intellectual history. From the 1920s to the late 1960s, two generations of Ethiopian intellectuals sought to implement in the country a hybrid modernisation model, in which carefully-selected elements of Western society and economics were to be implanted in the Ethiopian socio-political tradition. Mengistu admired the practical know-how of European societies, but at the same time satirized the superficial Europhilia that was spreading in Ethiopia in the sphere of lifestyle and morality. In “Marriage of Unequals”, the protagonist is asked to marry an “Europeanised” woman, with the reassuring clarification that her ‘modern’ attitude is “only on the surface – a matter of clothes and hair-do, of Amharic accent, of the way she walks and talks. It has not percolated deeper”. But Mengistu was not only a playwright, but also an incredibly famous poet – and it is in his poems that his literary vision emerges even more clearly. 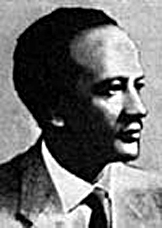 His poetic work YäGït’ïm guba’e’ (“Synod of Poetry”, 1964-65), was described by Dr. Martin Orwin, Senior Lecturer in Amharic and Somali at SOAS, as “a wonderful collection of poems which moved the style of Amharic poetry forwards, building on the pioneering work of figures such as Kebbede Mika’el whilst still retaining a flavour of the traditional poetic style of oral poetry”. Mengistu’s friend and eminent Ethiopianist scholar Richard Pankhurst remembers how Mengistu was seeking to create a type of poetry “traditional in form but progressive in content”. And he was in a good position to achieve this goal: he received a traditional Church education in Ethiopia, but later studied abroad in London for many years. His father was a Christian Orthodox priest and scholar, and Mengistu was educated in the religious language of Ge’ez, in Bible studies and in traditional poetry. He became a master in the use of qené, a type of poetry based on the ‘wax and gold’ technique, i.e. the traditional double-layer construction of a poem whereas hidden ‘golden’ meanings are to be fabricated by melting the ‘waxy’ surface of the words. His attachment to the Ethiopian literary heritage is evident in Yabbatočč č’äwata (“Tales of the Forefathers”), a collection of folktales and stories published in 1960-61. His father had a special place among these ‘forefathers’. Mengistu often repeated that his father was perhaps the single most influential figure in his life, and honoured him by writing a biography on his father’s intellectual and social trajectory, Mäs’häfa tizita ze-Aleqa Lemma (“The Book of Memories of Aleqa Lemma”). The book is based on tape-recorded conversations with his then 95-year-old parent, and Mengistu appears to have been willing to retain in his transcriptions the feeling of a dialogue – the biography maintains indeed an eminently oral style. This work is a homage, Reidulf Molvaer remarked, “to an older generation of Ethiopian scholars who preserved and enriched their culture” and whose influence is “strongly felt even today”. But London had a great impact on him too. After high school in Addis Ababa he got a scholarship to study at the London School of Economics. He would spend 7 years in London, from 1948 to 1954. There, he came to nuance the sentiment of ‘Ethiopian exceptionalism’ that was (and still remains) very strong in his home country, and to embrace a more Pan-African ideological stance. How could I answer such a stupid question? Where could I begin? How could one start talking about the rudiments of Ethiopian history? The Axum obelisks? St. Yared’s classical sacred chants? And all these at a time when Europeans used to cover themselves with mud and roam from forest to forest. But then, he decides to mock the British patients in return: yes, back home everyone is naked, he lied. Ethiopians are all animist and only eat raw meat and freshly-plucked fruits! As a student, he could only afford marrying four wives, but rich people marry hundreds of women! And when four Ethiopian girls, students of his, came to visit him in hospital, the nurse immediately thought they were his wives. Mengistu promptly confirmed, and received them amidst the astonishment of his ward-mates. His work remains imbued by a strong sense of pride for Ethiopian history, whose value –and at times superiority– he never put in doubt. Mengistu was a prominent polemist in Ethiopia’s 1981-1983 debate over which literary language should be adopted by Ethiopian writers. He championed the literary use of Amharic over European languages – whose knowledge, diffusion and importance were (and still are) extremely limited in a non-colonised country such Ethiopia. His position, though, came across as ethno-centric. More than 80 languages are spoken in Ethiopia, remarked his opponent Sahle Sellassie Berhane-Mariam, and wouldn’t promoting Amharic over the others imply a form of Amhara cultural assimilationism? Mengistu responded in a conciliatory way: African-language writing should always be preferred, but at the same time writers are welcome to experiment with European languages, and encouraged to translate their works in English or French for the benefit of their fellow Africans. He wrote over the theory of literature too, proposing in 1963 a first comprehensive categorization of Amharic metrical forms, and writing books about technical aspects of Amharic drama. He had a distinguished career as a civil servant, diplomat and professor in the Theatre Arts Department of Addis Ababa University. In 1952 he wrote on The Lion Cub, a magazine for Ethiopian students in London: “our duty […] demands of us that we should not return merely ‘qualified’ but also armed with the best system of ideas – best, that is, for the Ethiopia of our time”. Mengistu’s work remained inspired by this sense of commitment even after the 1974 Revolution brought to power an authoritarian military regime. Of his later production, three plays stand out. The first is S’ärä Klonïyalist (“Anti-colonialist”, 1978-79), a patriotic drama set during the 1936-1941 Italian occupation of Ethiopia. In Bale-kaba ïnna bale-daba, (The Mighty and the Lowly, 1979) he condemns those foreign-educated Ethiopians that lived a luxurious life in their home country instead of becoming socially engaged in the struggle to improve it. Lastly, Shummïya (“Scramble for Office”, 1985) is a satire of the systematic corruption and embezzlement practices of Haile Selassie’s regime (but many saw a not-so-hidden reference to the military government as well). Before dying in 1988, he reportedly said that he had two last desires: translating his father’s biography in English, to show foreign readers the richness and complexity of Ethiopian culture and history, and translating “Anti-colonialist” in Italian, to urge the Italians to finally start a public debate on their forgotten imperial history. He did not live to see the fulfilment of either dream. “Anti-colonialist” was in fact translated in Italian, but only 5 years after his death. “The Book of Memories of Aleqa Lemma” remains untranslated, and maybe it is time somebody starts working on fulfilling Mengistu’s second dream. Sara Marzagora is a PhD candidate at SOAS, University of London, researching Amharic literature and the history of Ethiopian political philosophy. She is translating into English some of Mengistu Lemma’s plays and poems as part of her doctoral research. The next post in this series of writer profiles will appear in the next couple of months. If you have any ideas for writers we should feature or would be interested in contributing a post please do leave a comment or contact us – we’d love to hear from you.